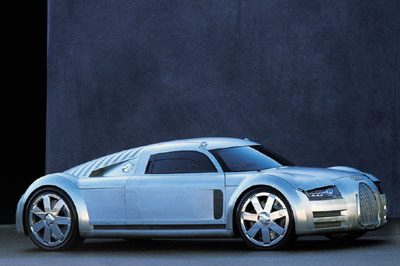 The Audi Rosemeyer concept is not a prototype ready to be driven, nor was it created in anticipation of a production vehicle. 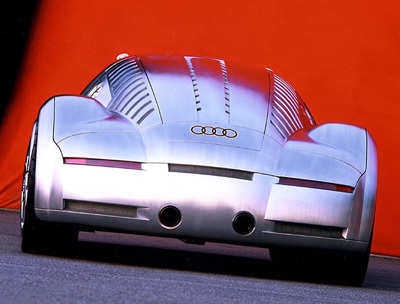 Looking like a suit of armor the Rosemeyer visualizes the technological potential of the Audi brand. 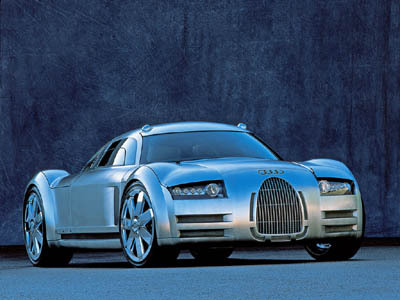 The concept's styling was partially inspired by the Auto Union type C racers from the 1930s. A window at the rear of the Rosemeyer's cockpit provides a clear view of this car's powerful heart, the mid-mounted 8 litre W16 engine.